NOTE: As this was a very colorful event I will let the pictures do most of the talking for this blog! 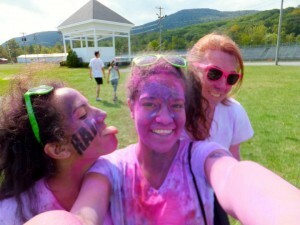 I will be the first person to admit that I am not an athlete or any form of a marathon runner but when I heard of the chance to run a 5k and get color thrown at me in the process I was all over that. 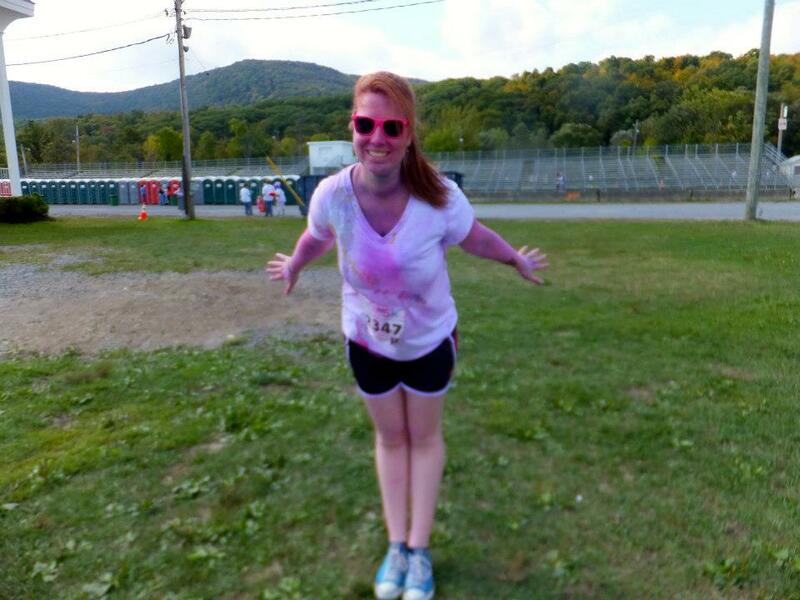 I signed up for the Color Me Rad race over the summer and quickly a group of Saint Rose runners assembled and I even started to train for the race. However, after three weeks of running regularly I had my wisdom teeth taken out and refused to leave my house for a good week. After I lost all the momentum of training I put the race on the back burner of my mind and focused on the new school year instead. 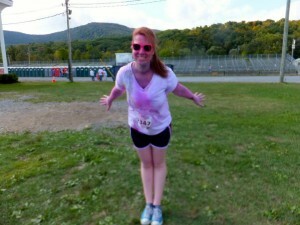 Before I knew it the race date was upon the “Color Me Saint Rose” team and it was time to run. 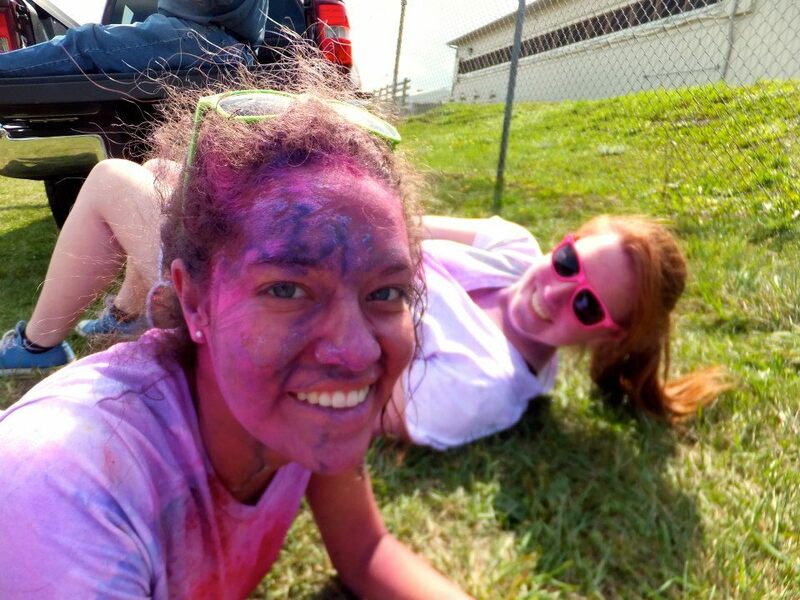 Originally I was supposed to run with a fairly large group of Saint Rose students but traffic separated the different car loads of runners and I ended running with my friend Jessie (click here for Jessie’s bio) and her sister Shannon (she doesn’t have a bio but is still awesome). It was a fun race despite some setbacks and it was great to see people from Saint Rose doing things off campus and exploring the area around Albany. 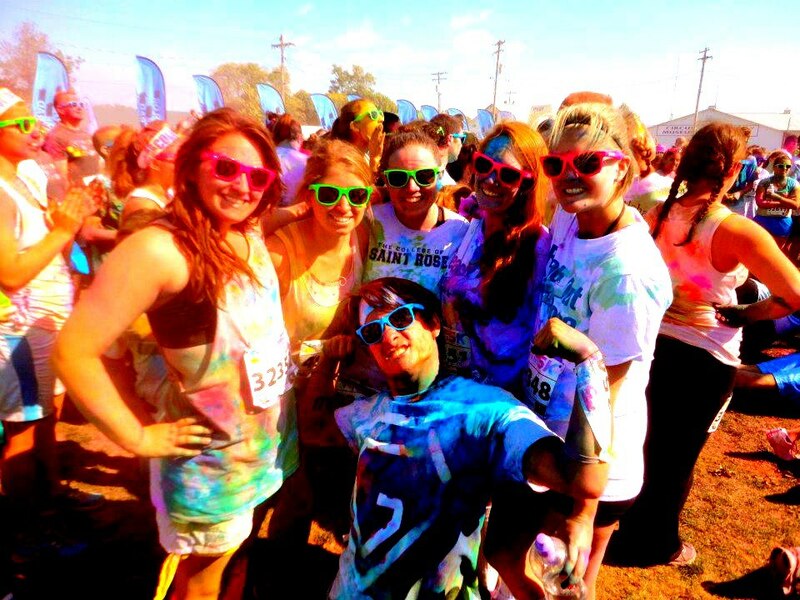 Color Me Rad serves as an example of one of the many things that students discover to participate in aside from the everyday college activities.